This is a complete LED kit for your said pinball. Includes approx. 150 LED's. These are Color Matched for your specific game. 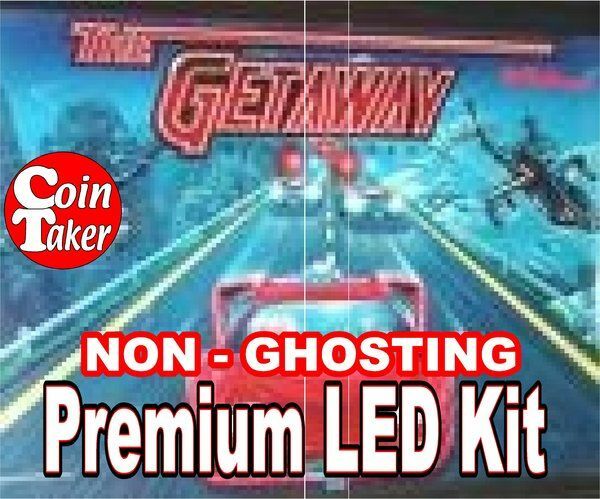 This kit uses quality Premium Super Non-Ghosting LED's in the insert/controlled lamp section and are approx. 2+ times brighter than incandescent bulbs and use 20% of the power. 3. Super Flashers 89/906, larger lamp that flash during game play for shots hit, etc.